Solamere Capital—named after an exclusive neighborhood in Utah where the family had a vacation home—was incorporated in February of 2008, only weeks after the campaign ended. Its first office address was the Romney campaign headquarters in Boston’s North End. One of its first big commitments was $10 million from Ann Romney’s blind trust… According to a copy of the Solamere prospectus that The Boston Globe obtained, they promised “unique access” to lucrative deals that the partners would land thanks to their “close personal and business relationships.” The New York Times reported that the firm ultimately raised money from a variety of Romney donors and fund-raisers, including John Miller, a longtime family friend and former corporate CEO, and Meg Whitman, the former head of eBay. Romney’s first debate performance went miles and miles toward erasing the Obama campaign caricature of him: A rich guy who would rig the system against you. Obama whiffed on that one. “When he tells a student that, you know, ‘you should borrow money from your parents to go to college,’” he said in the debate, “you know, that indicates the degree to which, you know, there may not be as much of a focus on the fact that folks like myself, folks like Michelle, kids probably who attend University of Denver, just don’t have that option.” He didn’t even sound like he believed it. But it’s the nucleus of the anti-Romney case, the most pugnacious class-war presidential campaign message in generations. 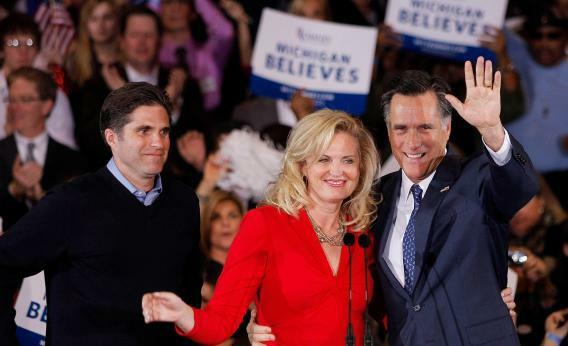 In 2011, when he was a full-time presidential candidate who jokingly called himself “unemployed,” Romney made $13.7 million just by leaving his investments alone. He gave $4 million to charities (including the church), so it’s hard to demonize him for betting and watching the bets pay off. But Democrats see this election as their last, best chance to defend the idea that government’s wealth redistribution is the only fair and necessary way to lift up people who aren’t born with connections.